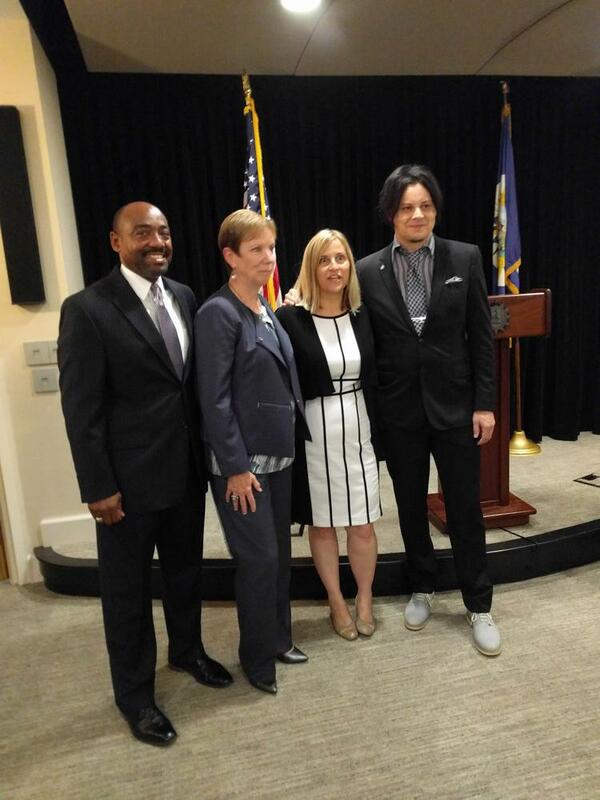 Council of Gender Equity co-chairs Ronald Roberts (left) and Pat Shea, with Mayor Megan Barry and council committee member Jack White. Photo by Will Racke, Nashville Business Journal. Roberts is CEO of Nashville’s biggest public relations firm, DVL Seigenenthaler. He will co-chair the council along with Pat Shea, CEO of YWCA Nashville and Middle Tennessee. There are 45 members appointed to the group, all movers and shakers in the Nashville business world. Third Records owner and rock giant Jack White also plans to serve on the committee. The Council on Gender Equity is an all-volunteer group. Members will work with Barry to determine solutions to the many gender inequity problems facing the city. By taking an active role in addressing these issues, the city hopes to attract new businesses and residents. The council’s members are from Nashville’s government, business, academic and nonprofit communities. Roberts said the diversity of participants will reinforce the notion that gender equity is an issue for everybody, not just women. “We must all be committed, whether it is in the public sector or private sector, to ensuring that women have access to the same rights and opportunities as men,” he said. Roberts is a member of the Board of Trust for the MTSU College of Media & Entertainment. In 2000, he was inducted into the college’s Wall of Fame, an honor that is given to select graduates who have achieved significant success in the fields of media and/or entertainment.